It was the summer of 1978, and Tony Dungy needed guidance. Turns out Donnie Shell would be the exact right person at the exact right time to provide it to the future Hall of Famer. 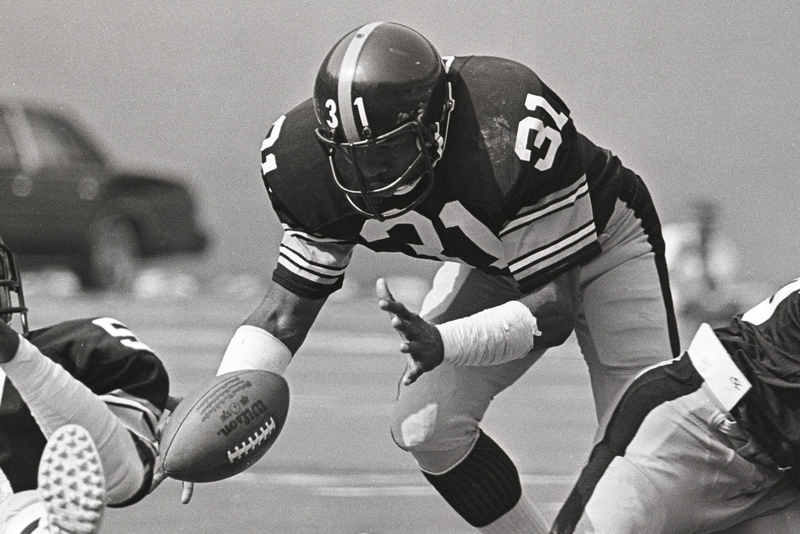 That year, the two Pittsburgh Steelers defensive backs were roommates, and Shell believed Dungy, who exhibited a stellar character and tremendous work ethic for someone so young, could achieve greatness beyond being a football player — if Dungy made some changes. At the time, Dungy was focused on the wrong things, which Shell told him. Dungy listened and immediately made a major change in his life. With Shell’s help, Dungy eventually grew to become a Super Bowl-winning head coach as well as someone who’s widely viewed as one of the greatest leaders in sports history. When Dungy is inducted Saturday into the Pro Football Hall of Fame in Canton, Ohio, his almost 40-year bond with Shell will be on display. Dungy picked Shell to present him before he gives his induction speech, and Shell will unveil Dungy’s bust. Before the induction ceremony, Shell figures he and Dungy will revel in a story or two, or 12, about the bygone days, and Shell said he’ll undoubtedly beam with pride as he reflects on a time long ago when he found the right words to make a big difference in his friend’s life. Dungy was worried. Beginning his second year in the NFL, the 22-year-old safety received bad news in training camp: He was diagnosed with mononucleosis. Doctors prescribed rest, which devastated Dungy. Dungy thought, with players fighting for roster spots and playing time, he could not afford to be stuck in bed in the team dorm. Part of Dungy’s frustration was that he still had a lot to learn. A talented quarterback in college at the University of Minnesota, Dungy went undrafted but was signed by Pittsburgh as a rookie free agent. The Steelers converted Dungy to safety, a common practice at that time for black QBs coming out of college. The thinking amongst racist NFL decision-makers being that African-Americans lacked the intellect and ability to thrive at football’s most important position. Although Dungy impressed at times as a rookie the previous season (he had three interceptions in a reserve role), he thought he might not make the roster if he was sidelined long. “I was a quarterback in junior high, high school and college,” Dungy said. “I’d always played offense my whole life. I signed with the Steelers and they put me on defense, so I had to learn something I knew nothing about, and I was still learning” at the outset of his second training camp. Defensive back Tony Dungy #21 of the Pittsburgh Steelers in action against the Cleveland Browns at Municipal Stadium on October 15, 1978 in Cleveland, Ohio. Shell was a budding star. 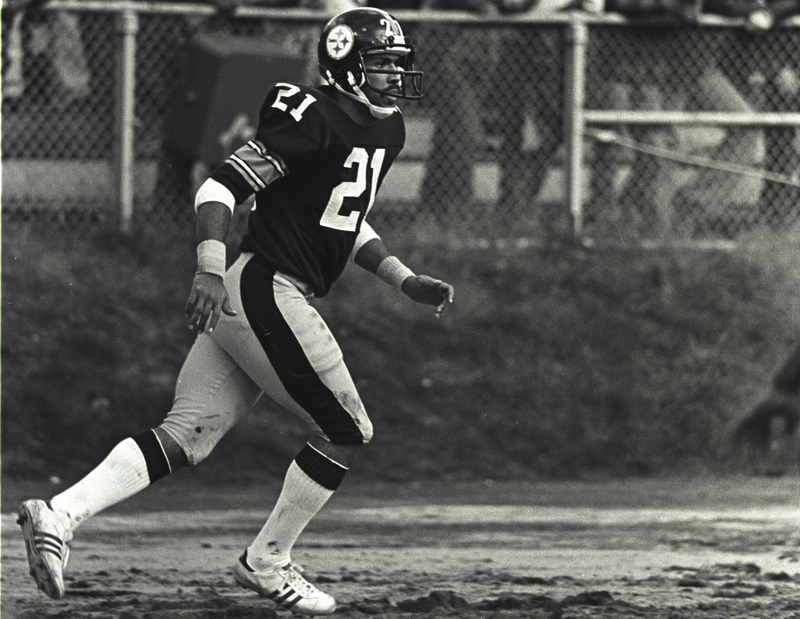 He would go on to be a key member of four Pittsburgh Super Bowl-winning teams. Shell also played in five consecutive Pro Bowls and was selected to four all-pro teams, including being named to the first team three times. Both men of strong faith, Shell and Dungy became fast friends. Dungy trusted Shell, who could initiate conversations with Dungy that others couldn’t. In a straight-talk session, Shell laid it out for Dungy. Ambition and determination have their place, but perhaps Dungy’s illness was a sign to slow down and look at the bigger picture. “Donnie was so helpful to me, just by putting things in perspective,” Dungy said. “He said to me, ‘Yes, you can work out, study and do all that in practice and develop a career.’ But he also said that who you are as a person, what you’re going to do with your life, how you handle adversity, the ups and downs, that would determine my future, much more so than those two or three weeks when I couldn’t practice. Shell’s efforts paid off: He got through to Dungy. Safety Donnie Shell #31 of the Pittsburgh Steelers reaches for a loose ball as linebacker Robin Cole #56 tackles wide receiver Mike Renfro #82 of the Houston Oilers at Three Rivers Stadium on September 9, 1979 in Pittsburgh, Pennsylvania. Despite missing significant practice time in camp, Dungy made the roster. He appeared in all 16 games, making two starts, and had six interceptions during the regular season for the Steelers, who capped the season with a Super Bowl victory over the Dallas Cowboys. The following season, Dungy played for the San Francisco 49ers. In 1980, Dungy returned to the University of Minnesota to begin his coaching career. He wasn’t there long. After only one season with the Gophers, Dungy returned to the NFL. Noll, who mentored Dungy, hired him to coach defensive backs, reuniting Dungy with Shell. Two seasons later, Dungy became the Steelers’ defensive coordinator. He was on his way to becoming a head coach. By the time the final seconds ticked off the game clock at Dolphin Stadium on Feb. 4, 2007, a celebration already was in full swing along the Indianapolis Colts’ sideline. The Colts had defeated the Chicago Bears, 29-17, making Dungy the first African-American coach to win a Super Bowl. And as happy as Shell was for his friend, he was even prouder of the fact that Dungy had become the man Shell believed he was capable of being. Dungy has played a major role in advancing the cause of minority hiring in the NFL coaching ranks, with his support having helped several African-American assistants position themselves to become head coaches. The Super Bowl in which the Colts defeated the Bears was the first that featured two teams led by black head coaches. Former Bears coach Lovie Smith coached linebackers for the Tampa Bay Buccaneers when Dungy was their head coach. Current Steelers head coach Mike Tomlin coached defensive backs for Dungy in Tampa Bay. Former Minnesota Vikings head coach Leslie Frazier was a defensive backs assistant under Dungy in Indianapolis. Jim Caldwell, who led the Colts to a Super Bowl appearance and now coaches the Detroit Lions, was Dungy’s quarterback coach in Indianapolis. In addition to mentoring black coaches, Dungy has spoken out about problems with the Rooney Rule , the first leaguewide tool to make hiring potentially more inclusive. Dungy is a best-selling author and a sought-after motivational speaker who has dedicated his life to setting an example of what it takes to truly be a leader. In the process, Dingy has accomplished even more than Shell thought he would. “Looking back at Tony’s life, there’s no way that I could have reached the people who he’s reached by what he’s doing through coaching and teaching,” Shell said. “That’s the way it’s supposed to work. You try to help someone, you share something with them that may inspire them in their life and, hopefully, they’ll go on and do even better things in their life than you’ve done in yours. In helping Dungy become the man he is, Shell improved the lives of many others he’ll never even know.